This book guys, This. Book. I could not put it down since the moment I got it. Sarah J. Maas I salute you and beg that you keep up the phenomenal work. 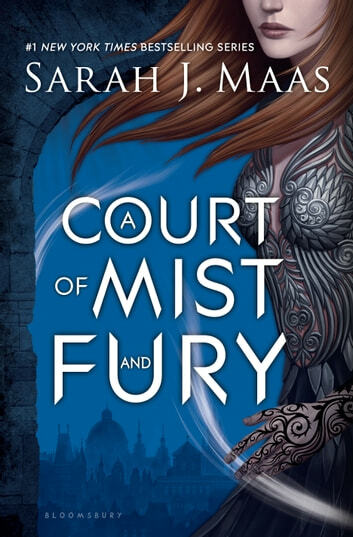 I was excited to read this book, to see how Feyre was handling the issues she'd faced in the first book, and I wasn't disappointed. I loved this book, it's now one of my all time favourites. The way the author makes the characters and their emotions resonate with you is unlike any other author I've ever read. The plot line is awesome, the twists and turns gripping. There haven't been many books in my life that I honestly haven't been able to put down, and I had trouble putting this book down to go to bed at night. I devoured it, enjoyed every word and Feyre went from a character I liked but couldn't really identify with to someone I felt was a friend. Maybe that's strange, but it's how the book made me feel. Definitely read if you're looking for a great read that will make you laugh, smile, cringe ( in a good way!) And just enjoy yourself. Wow, just... Wow. I didn't know where this book was going to go, but it took a completely different direction than I expected, and I could not love it more for that. The story was beautifully woven, a true epic about strength, love, friendship, and sacrifice. A true joy to read. 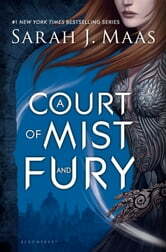 Most of the book took place in the Night Court, which couldn't have been more gorgeously described. The new characters were utterly fantastic, distinguishable, and loveable with rich histories and pasts. And Rhys... Oh man, where do I begin with him?! He took on a completely different side, and it wasn't long before I completely fell in love with him. Such a powerful character with a dark history and a strength I can't even begin to describe. Definitely one of the best fantasy princes ever written. Every character was layered and complex, but Feyre was of course the star. Her journey was incredible, harrowing, and emotional. I loved that she remained realistic 9/10 times. She overcame her truly awful struggles with and without the help of new allies, and became a force to be reckoned with. A stellar heroine who I have nothing but admiration and respect for. The action scenes were vivid, the monsters and their horrors absolutely devious, and the romance deliciously passionate and steamy. While there were some parts of the book I could predict (I'm a writer, too), none of it halted my enjoyment of a novel that is absolutely worth of all the praise it's been getting. This is a long book, but I was never bored and always eager to pick up right where I left off. I cannot wait for the next instalment! A must-read series if there ever was one! Absolutely perfect. Was hesitant at first, wondering if it would measure up to Court of Thorns and Roses but this one was even better. Awesome.